Easy One-level living in Conifer under $400,000! 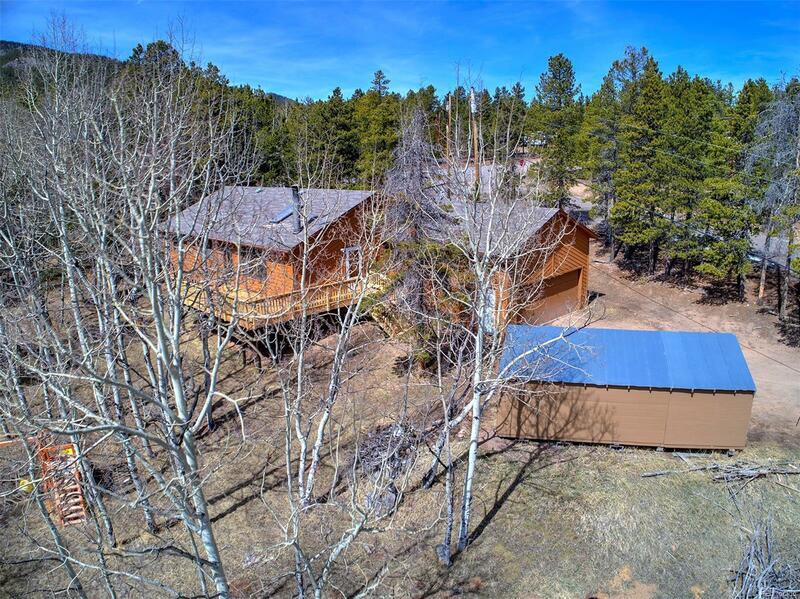 Welcome home to 1.21 acres of flat, useable meadow with beautiful aspens, bordered by two County Maintained Roads. Complete with 2 car Oversized garage with 12â ceilings and an oversized shed. Relax on the new deck. Build equity by updating to your own taste. Ask about Concessions for carpet/flooring and staining when weather permits. Open house Saturday 4/14/2018.